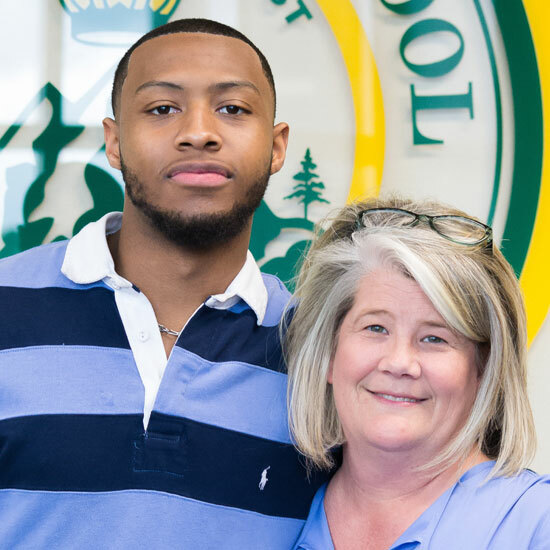 Mancer, pictured here with Admissions Director Kelly Adams, stopped by Ben Lippen recently and we were able to ask him about his experiences when he was a student. What do you love most about Ben Lippen School? How everyone is so close-knit. The family and love aspect of everything. The people really genuinely care about you and your well-being. How did Ben Lippen make a difference in your life? I went to Ben Lippen for only one year, but the relationships that I built with the teachers, old teammates, and everyone, in general, has never left. I wanted a change for my junior year of high school, so I looked to Ben Lippen. With help from the Ben Lippen family, and a little hard work, I was able to attend Ben Lippen and make lifelong relationships.